The all-you-can-eat buffet restaurants are some of the best eateries where you can enjoy the best dining in Branson. Buffet restaurants in Branson will definitely satisfy your taste buds. These restaurants present a range of menus with a long list of side dishes. Whether you like to order dishes on the list of menu or on the buffet table, you are sure to get a lot of choices. 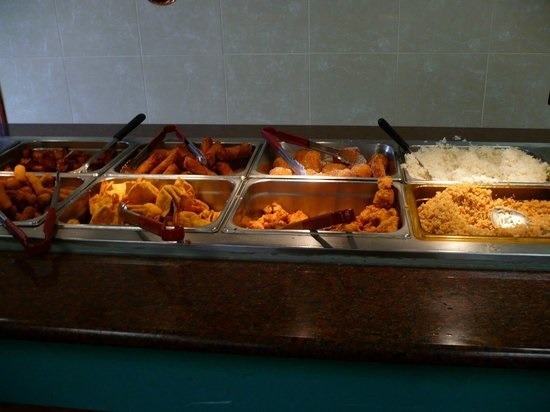 If you want to enjoy your day for an eat-athon in Branson, visit some of the best buffet restaurants in the area such as Whipper Snapper’s, Starvin’ Marvin’s, Panda House, and Branson's Golden Corral Buffet. Whipper Snapper’s in Branson offers the only All-You-Can-Eat Lobster and Crab Legs buffet in the area. As guest of Whipper Snapper’s, you are sure to enjoy whole lobster, crab legs, gumbo, crawfish, shrimp, clam strips, and much more. Their menu selections include appetizers such as cheese fries, clam strips, popcorn shrimp as well as sandwiches including the Whipper Snapper’s Burger and the Grilled “Chicken of the Sea” Sandwich. Entrees in this restaurant include Chicken Fried Steak, Shrimp Dinner, award-winning Fried Chicken Dinner, and hand-cut 8 oz. Rib Eye Steak. Starvin’ Marvin’s offers visitors all-you-can-eat crab legs, seafood with a Cajun attitude, and serve the best legs in town. At Starvin’ Marvin’s, you are sure to enjoy a taste of the juiciest, most delicious crab legs in Branson. If you stop by the restaurant, you’ll be served with delicious seafood that will keep you coming back for more. Aside from their famous crab legs, Starvin’ Marvin’s offers an excellent selection of delicious American and seafood dishes. Most of the meats served here are hand-battered and all of the sauces are homemade. Located on Hwy 248 in Branson, Panda House serves the best Chinese food in town. This restaurant offers an excellent buffet, a la carte, and drive through. Their tasty crab rangoon and their homemade desserts will top off your dining experience which include a wide choice of cookies and vanilla or chocolate ice cream. The lunch and dinner combo meals at Panda House are definitely the best choice as they come with a main dish item, rice, 1 egg roll, 2 crab rangoon’s and a drink. The dish portions are always plentiful with reasonable price. Golden Corral Buffet in Branson is one of the largest in the world with a seating capacity of over 650. This restaurant offers all-you-can-eat breakfast buffet with over 120 items including made-to-order omelets and eggs to order. Also offered in the buffet includes made-from-scratch biscuits that their own baker makes every morning, home style sausage gravy, handmade breakfast sausage patties that are ground and seasoned right in the restaurant, bone-in pork chops, Jumbo Smoked Sausage, sausage links, two styles of French toast, fluffy pancakes, cheese grits, baked goods and hand cut sirloin steak. If you love to eat and want to experience the best dining in Branson, take advantage of the all-you-can-eat buffet restaurants so you can satisfy your taste buds.